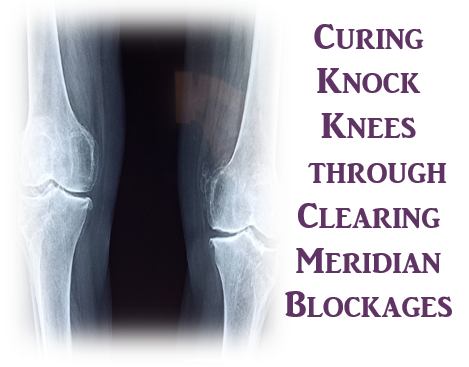 Since there is no conventional cures offered todate for knock knees, I would like to state my recent experience and what traditional Thai healing via massage could offer. This is not the usual kind of massage that you get from a spa or a masseur. Recently during a trip to Thailand, I had the chance to meet a traditional Thai healer who uses massage as a method of healing. His name is Paw Moh. On the surface, he seemed to be like any masseur but when he performed massage, he had the ability to sense channel blockages and clear them. I was told that when he massages people, he sensed their problems from his heart and apply specific massages to cure them. He has been performing such massages for decades and came under good recommendation. It started when 2 of my friends got back problems because they were not used to the sleeping conditions there. They had thought that they had twisted their back because both had existing back condition. When Paw Moh massaged- Paw Moh told them that it was not due to twisted back bone but due to blocked meridian points. After he cleared it, the pain just disappeared. For me, I have mild knock knees. Todate, I could not find any concrete cure offered in physiotherapy or other Western approaches. As much, I would like to share my xperience with the traditional Thai doctor in which I feel personally is effective. Another Singaporean friend told me that of all the massages that she had ever had, that was the best. I never said anything but the moment he started to massage, he told me that my condition could be cured by loosening up certain muscles and clearing some blockages. He told me that my body- from my feet to my back was stiff from physical labor (I was helping out and doing some relatively heavy physical work during my stay there. Furthermore I seldom go for massage so it’s no wonder that my muscles are a bit stiff). So he started by loosening up my overall muscles- he asked it if was painful and I said nope. Paw Moh knew precisely where the tight muscles and blocked channels are. I am surprised that it could be so painful when people massage the arch of the feet. I told him that the problem I had with creaking knees- he rubbed specific points behind my knees and up my thighs and it was really very painful. I need to emphasize that your usual masseur or massage therapist would unlikely be able to do the job for you. Most of the time people offer massage services for relaxation and to generally loosen up the body. To go into healing pain and musculoskeletal conditions, it would go under someone with healing knowledge and abilities. Paw Moh is from a small rural town in Thailand. He only charges about 200 baht (RM20 or USD7) per hour for his services. And he is very strong- despite being a man of about 60 years old, he could massage more than 10 hours almost non stop. The only break he took was a short lunch break. I know that if I stay in Thailand long enough and undergo constant treatments from him, my condition can be reversed because after the first massage, I could effortlessly turn my knees in normal alignment when I walked. Of course, it’s almost impossible to find Paw Mohs in where we stay. As such, I would discuss more of other professional services that we can explore in the next article. Many Thai masseuse only learned the superficial method of relaxing the muscles- and some may not know what they are doing (this is told to me by Thai people themselves). It is not easy to find. Alternatively you may also seek out professional physical therapist who have learned deep tissue massage or myfascial release. It may help too. In what town does Paw Moh offer his treatments? Is there a name for his clinicf? Should I be in Thailand, I would like to try his treatment. i cant afford going thailand for such service. ask paw moh if there are any posturical exercises that can do the same as his massages.